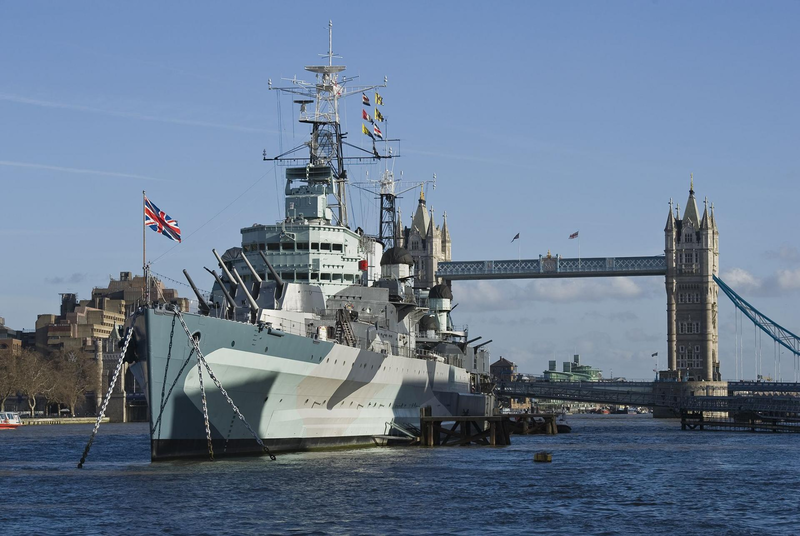 This year’s Oriel London Dinner will be held on Thursday, 25th April aboard one of Britain’s most famous ships, HMS Belfast. HMS Belfast is a Town-class light cruiser that was built for the Royal Navy. Having served in WWII and the Korean War before being decommissioned in the early 1960s, she is now permanently moored as a museum ship on the River Thames in London and is operated by the Imperial War Museum. Our speaker at the dinner will be Theo Rycroft (Oriel, 1994), Director, EU Exit, Foreign and Commonwealth Office, who will speak about the latest developments in the EU Exit negotiations. The previous two Oriel London Dinners have sold out, and we predict this venue will also sell quickly, so Orielenses are encouraged to book early to avoid any disappointment. The ticket price includes 2 glasses of fizz pre-dinner, a 3-course meal with half a bottle of wine and the chance to explore the museum at your own leisure during the evening. There will also be a cash bar open should guests like to purchase any extra drinks. Orielenses are welcome to bring a guest to the event.